Universities Don’t Have to Surrender Control With a Public-Private Partnership – Information and thought leadership on this dynamic market! By Chris Sherwood, Head of Business Development, Lendlease’s Communities business in the US. Bio below. Facing aging and outdated campus facilities, many colleges and universities are seeking inventive ways to deliver cost-effective, sustainable student housing despite flat or declining appropriations and debt capacity limitations. 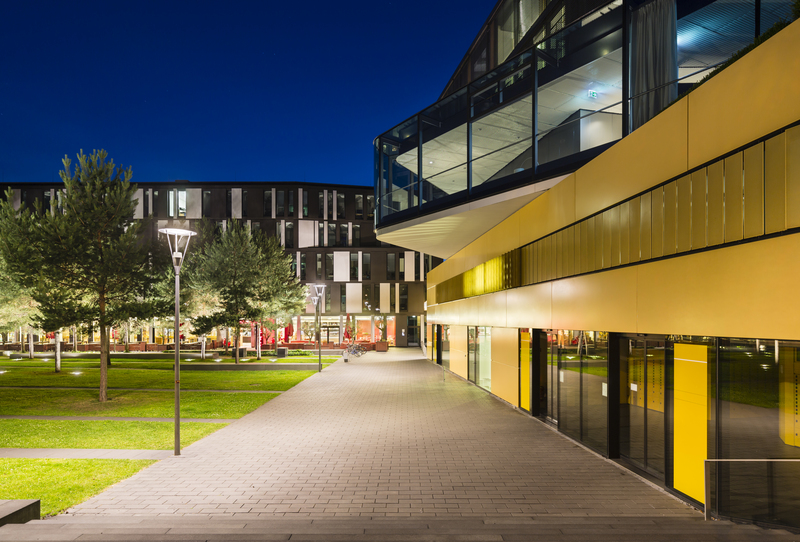 Public-Private Partnerships (P3s) provide creative, customizable solutions that leverage commercial best practices and private capital to create modern on-campus student housing and bundled other facilities without adversely impacting university credit ratings. Although P3s are gaining momentum as an efficient procurement vehicle, many administrators harbor reservations around partnering with private developers. This pause is often driven by a belief they will be required to give up control of marketing, resident life services, and decisions impacting affordability. While this wariness is understandable, knowledgeable private sector experts with partnering experience agree that a successful P3 is not about surrendering control, but is about creating a long-term, mutually-beneficial partnership that is structured to achieve a superior outcome for all stakeholders, especially students. If structured correctly, a social infrastructure P3 is characterized by continuous collaboration and interest alignment between the university and private developer over the term of the partnership. The relationship should be memorialized in the ground lease and partnership legal documents, ensuring the university retains certain consent and veto rights over major decisions that impact housing availability, rent increases above agreed-to escalation, and expenditures from the project reinvestment account, while transferring delivery, lease-up, and stabilization risks to the private partner. Similarly, to raise private sector financing that is non-recourse to the university, the private developer relies on the university partner to provide non-monetary support, like resident life services, to assist with operational success of the on-campus housing. For almost twenty years, successful partnerships between the Department of Defense (DoD) and private developers that were designed to improve existing and create new military family housing and lodging facilities, authorized by the 1996 Military Housing Privatization Initiative (MHPI), have demonstrated how social infrastructure P3s can achieve outstanding results for a public partner—or as applied, a university partner. The partnerships give the DoD control over certain functions that it deems critical, and provide opportunities for the DoD to impact major decisions within the partnership, ensuring optimal developer and operational performance and adherence to the shared mission. Developers who are familiar with successful P3 social infrastructure projects, like the MHPI program, can provide a fresh perspective to better understand the needs of the university and its administrators’ apprehensions related to P3 structuring. This article explores common concerns private developers encounter in the student housing space, with corresponding facts to provide clarity for university-focused P3 social infrastructure projects. CONCERN #1: THE UNIVERSITY PARTNER SURRENDERS ALL DECISION-MAKING POWER TO THE PRIVATE PARTNER IN A P3. FACT: A relationship that allows for one entity to make every decision while the other entity is powerless to influence future outcomes is not a partnership. Private developers should view themselves as long-term, on-campus guests; student and university satisfaction is imperative to a P3 housing project’s long-term success in the existing campus environment. An effective partnership creates aligned goals beyond financial returns, and establishing a joint decision-making process between the university and private development partner that is transparent, collaborative, and based upon each partner’s relative expertise and exposure to risk is the most crucial undertaking in forming a P3. A well-structured partnership ensures the university retains its influence over major decisions related to housing and resident life, while the private entity oversees day-to-day development, asset management and operations. CONCERN #2: THE PRIVATE PARTNER DEMANDS CONTROL OVER RESIDENT LIFE FUNCTIONS. FACT: A private partner CAN take on aspects of resident life management, but it is ultimately up to the university to decide what the private partner’s role in that function will be, if any. Well-defined partner roles ensure that universities retain clear control over certain functions, which may include housing assignments, rent collection, and resident life services. To create a seamless housing experience for students, continued university participation in the resident life function is encouraged. The established project company can pay the university for services it performs. CONCERN #3: DEVELOPERS WILL DISREGARD UNIVERSITY INPUT DURING THE DEVELOPMENT PROCESS AND PROPERTY MANAGEMENT. FACT: In an effective and well-structured partnership, both partners work to understand each other’s interests and concerns to align project goals and make decisions. University partner participation is crucial for successful collaborative design, development phasing, regular project updates and other activities that are included in the creation of a successful project. The terms for ongoing university roles, major decision rights and responsibilities, as well as what is expected of the developer, are expressly prescribed and protected in the legal documents regardless of the mechanism of asset conveyance (i.e., ground lease, concession agreement, and/or partnership operating agreement). CONCERN #4: STUDENTS WILL GET CONFUSED BY THE PARTICIPATION OF A PRIVATE PARTNER IN THE ESTABLISHED ON-CAMPUS ENVIRONMENT. FACT: Upon completion of the development of new or revived student housing facilities, the private partner’s role as developer often transitions into an asset management role that oversees the long-term maintenance and capital upkeep of the new housing and potentially the replacement of older housing conveyed to the private partner to manage. In this capacity, the private partner continually aligns its mission with that of the university, assimilating to on-campus culture and supporting the university’s long-term goals. As long-term guests on campus, the private partner’s presence is a courtesy extended by the university. The university is best suited to oversee resident communication and act as the student-facing entity, while the asset and property managers operate and maintain the housing to enhance the resident experience. The partnership decides together how to seamlessly present resident life and property management personnel to students and make the different communication channels clear and effective. Every experience a student has on campus reflects upon the university, and those memories and connections should be with the university, not the P3 partner. The overall goal of the P3 is to provide students with positive live-learn experiences, leading to a positive overall university experience. Happy students become happy alumni who support their alma mater. FACT: Many universities face tremendous deferred maintenance in their student housing facilities. New student housing is ideal for addressing excess demand at growing universities, but to completely revitalize the entire on-campus housing program, universities can choose to do a P3 with a developer capable and interested in renovating existing housing and providing a comprehensive solution. Including existing housing in the P3 can also improve the financial outlook of the project. The conveyance of existing on-campus housing for renovation or replacement can increase occupancy and increase the amount of debt capital on better financing terms to both reposition older housing and build new facilities. All student housing can be maintained and upgraded or replaced over the life of the partnership when a sizable portion of the project’s available cashflow is invested into a restricted reinvestment account. Renovating and upgrading existing facilities and creating a comprehensive and sustainable housing program helps protect the long-term financial health of the university partner. Experienced P3 developers take these concerns very seriously, and strive to alleviate stress by providing a well-rounded, customized solution. Administrators should seek developers who recognize that each P3 is different, share the same values and are invested in the university’s long-term economic well-being. 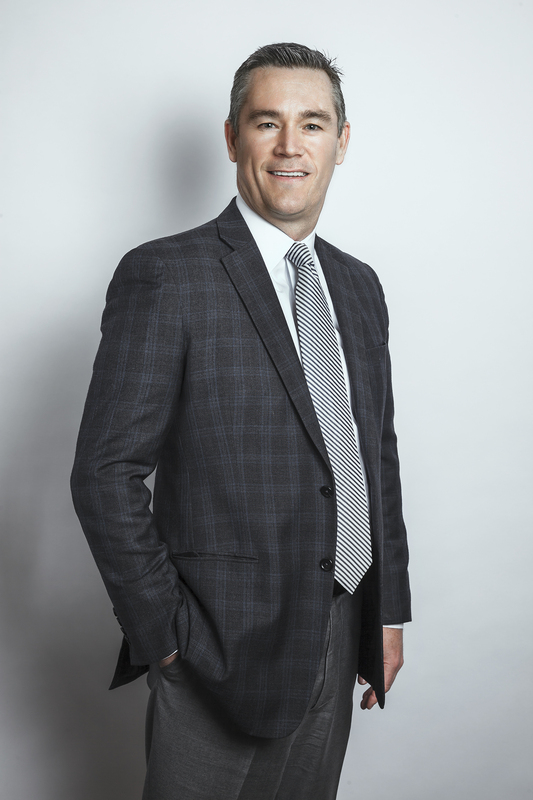 CHRIS SHERWOOD is Head of Business Development for Lendlease’s Communities business in the US. Lendlease is one of the nation’s leaders in public-private residential development. Focused on creating sustainable value, Lendlease creates communities that regenerate our environment, enrich people’s lives and foster economic growth. The company owns and operates a P3 portfolio of more than 40,000 residential units and 12,000 hotel rooms on military campuses across the US. Lendlease will finance, develop, build, renovate and operate these sites via 50-year partnerships. Mr. Sherwood has extensive expertise with multiple large and complex Public-Private Partnerships totaling over $8.4 billion in residential development value. At Lendlease, he is responsible for securing new P3 development opportunities and leads strategy, feasibility efforts, strategic partnerships, pursuits, project structuring and negotiating contractual arrangements. He holds a Bachelor of Science in Finance with an emphasis in real estate from Brigham Young University, studied law at McGeorge School of Law, University of the Pacific, and is a licensed architect in the state of California.